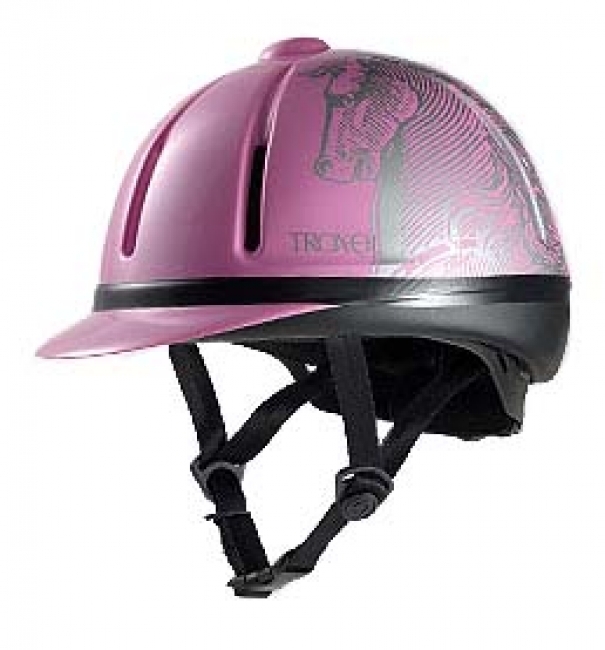 The Troxel Legacy riding helmet is known for it's slim profile, light weight and comfortable fit. The Pink Antiquus Legacy is a sure hit with the pony riders for the look, while the parents can depend on the ASTM / SEI certification to keep their child protected. The Legacy helmet is offered in a special Youth Small size to fit even the smallest equestrian. The Flip-Fold Fit System provides an adjustable inner liner that can be made thinner or thicker to accommodate various head shapes and hairstyles. Adjustment is made by simply folding over the integrated tabs.